I had my email set up to send certain emails (especially those with mentions of romance) directly to spam. I was using Yahoo! at the time, (as I still do), and I still liked to check the spam folder every few weeks just to be sure that some of the emails I had sent to spam weren't good ones. That particular day, I almost emptied the entire folder into the trash without checking it, because I was in a hurry. I'm so glad I didn't. The first of many emails from my future husband were in that folder, and had I not checked the individual emails, we might have never met! We corresponded over email for the next month. We really got to know eachother pretty well, and after a few months of in-person courtship, we were engaged to be married! 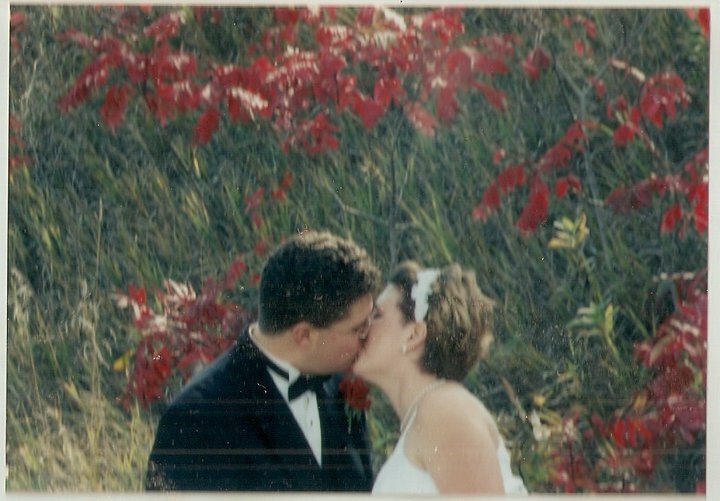 It wasn't very acceptable to meet people online at the time, so I remember holding back the information about how we met until after the wedding. Yahoo! mail still holds a place in my heart, however, as my husband and I still have our old email accounts, just so we can take a trip in the "way-back" machine and read those first words of love to one another. 10 years later, I'm still checking every spam message. Just in case. Do you have a sweet story of how email changed your life?